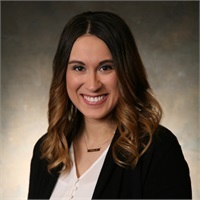 Andrea has been with Mersberger Financial Group since June 2015 coming to the firm as a Finance and Psychology graduate from the University of Wisconsin Oshkosh. While at UW Oshkosh, Andrea was an Honor Roll Student and participated in the Student Managed Endowment Fund where she took part in managing the assets of the Fund and furthered her experience in the money management and investment management realm. Andrea leads client discovery meetings, progress meetings and review meetings with clients. Andrea also focuses on financial analysis, investment analysis, creating financial plans, advisor assistance, and pre-meeting research. Andrea is also a member of MFG’s Investment Committee which focuses on creating investment management strategies and portfolio management. Andrea holds her Series 7 and Series 66 registrations as well as her Life, Health, and Disability Insurance license. She is currently studying for her Certified Financial Planner (CFP) designation. Andrea lives in Green Bay with her husband Zach, son Zach Jr., and their puppy Alfie. She enjoys playing recreational volleyball as well as golfing, working out, boating, camping and giving back to the community. She also enjoys being an Aunt and spending time with her nieces and nephews.